Research have shown that good eyesight supports good academic performance. However, easy access to computers and smartphones leads to early eye problems specially to young children. 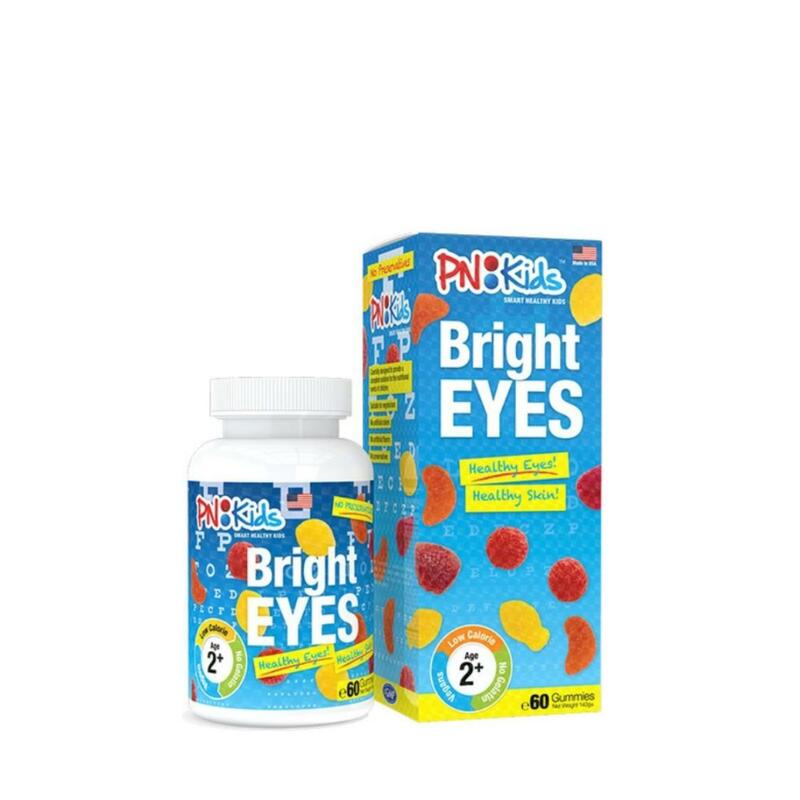 Proper nutrition and care are crucial to good eyesight, especially when children’s eyes are in the development stage.To boost your child’s vision, we developed PN Kids Bright Eyes. This new formulation is specially formulated to contain Vitamin A –a nutrient that helps produce the pigment of the retina. Vitamin C, D, E, Folic, and B12 are also found in these great-tasting gummies to act as protective antioxidant against dirt, damaging sunlight, and macular degeneration.